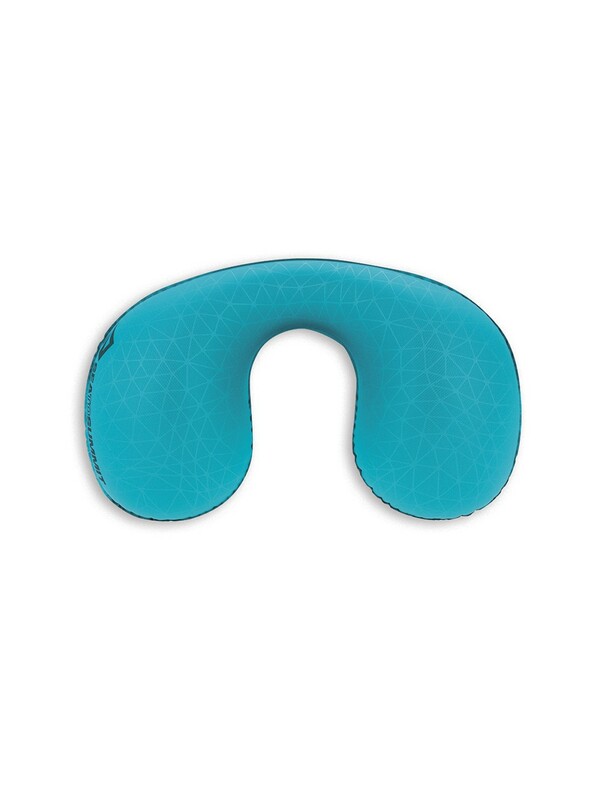 Ultra-lightweight neck pillow with 20D laminated polyester and ergonomic curves. 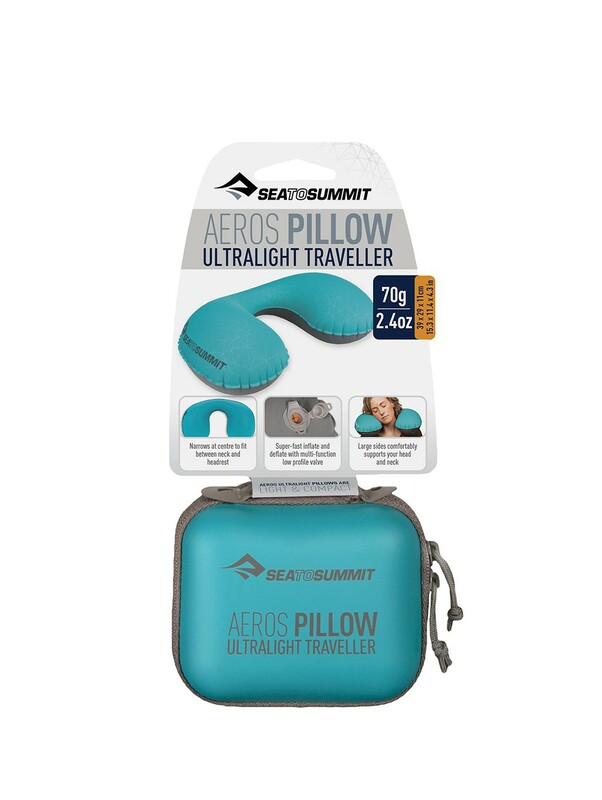 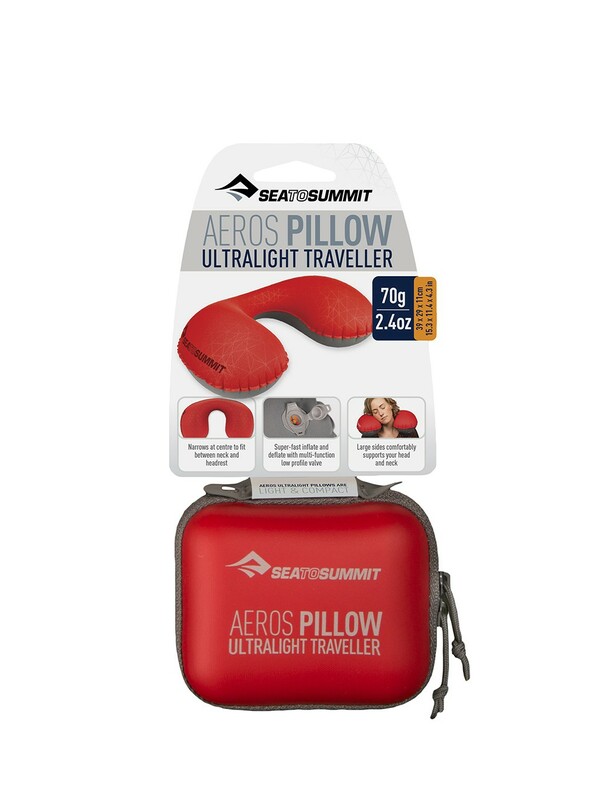 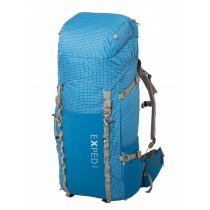 Weighing in at 50 grams and packing into a tiny stuff sack this pillow is a hassle-free, highly effective addition to your daypack. 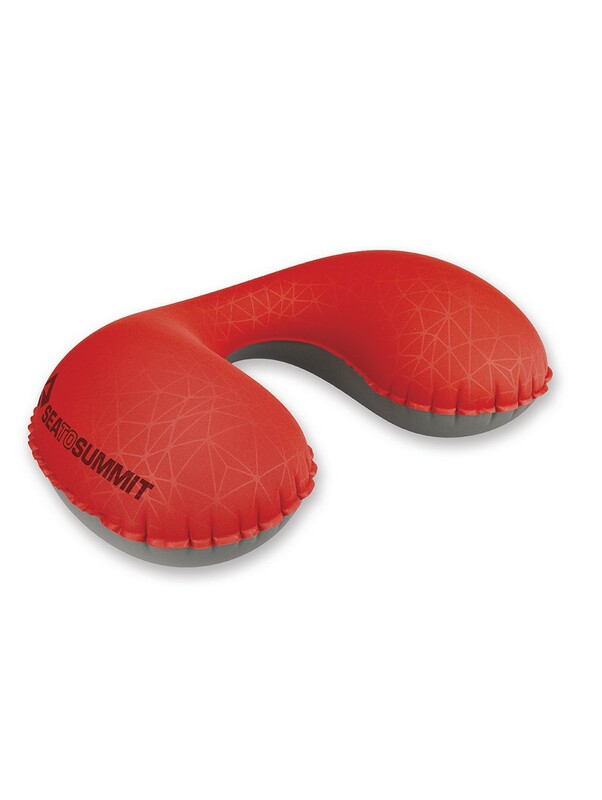 Unique valve for inflate and deflate neck pillow: the low profile valve minimises weight by combining all functions into only one unit.